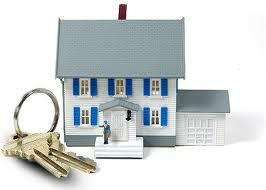 There are many Rental agents Philadelphia which you, the real estate investor, have to choose from. Some offer Philadelphia Property Management services, while others stick strictly to rentals. So, how do you go about qualifying and ultimately selecting Rental Agents? We’ll discuss the top 5 most important aspects the interview process below. Look for Rental Agents which work and even live in your specific neighborhood. 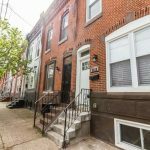 You don’t want a broker who only works in Point breeze representing your property in Fishtown. Make sure your Rental Agents Philadelphia candidates are experienced. Have they been in the business 1, 5, or 10 years? Remember, there is often a tradeoff – you want someone who is experienced, but at the same time you want an agent who is motivated and energetic. What methods of advertising do your Rental Agents use? Do they have a social media presence? Online advertising and social media are two of the most important aspects of real estate advertising. Many of the older Rental Agents simply don’t use these methods, and therefore lose out on many leads. Look closely at your Rental Agents capacity for new and current listings. Do they have a hundreds of listings, or only a handful which they pay close attention too? Unfortunately, there are quite a few companies out there which amass as many listings as possible, and give very little personalized attention to any of them. do you have experience with my neighborhood? May I speak with some of your past clients? Hiring the right Rental Agents is a process, and starts with research. Speak with different Rental Agents to determine where their strengths and weaknesses are, and then make the best decision you can with the information you have. 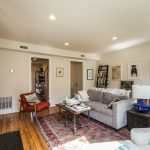 JG Real Estate employs some of the finest Rental Agents in Philadelphia – talk to us for a free quote.